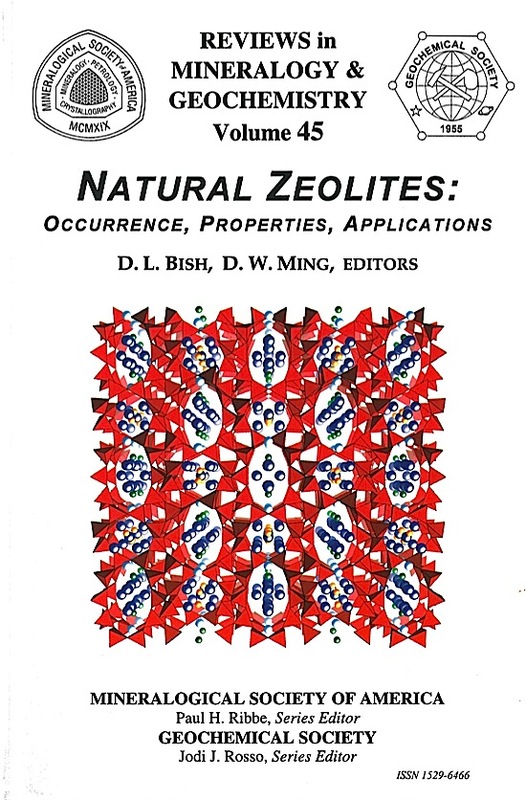 Mineralogy and Geology of Natural Zeolites was published in 1977. Dr. Fred Mumpton, a leader of the natural zeolite community for more than three decades, edited the original volume. 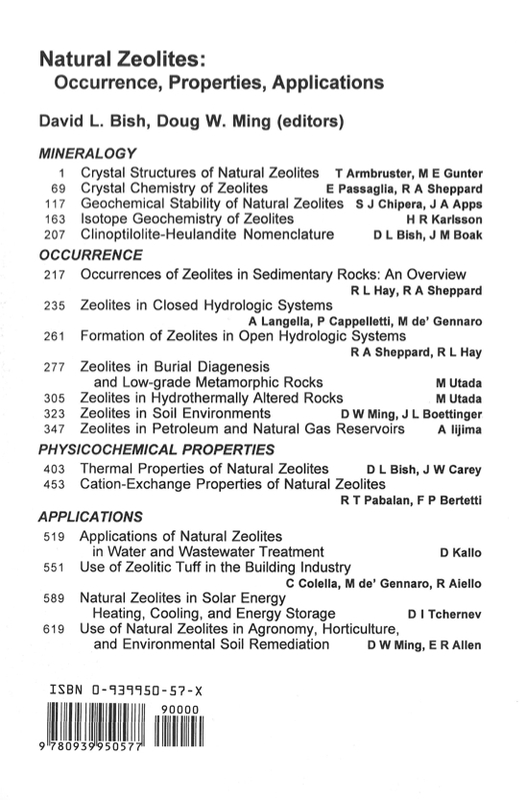 Since the time of the original MSA zeolite short course in November 1977, there have been major developments concerning almost all aspects of natural zeolites. There has been an explosion in our knowledge of the crystal chemistry and structures of natural zeolites (Chapters 1 and 2), due in part to the now-common Rietveld method that allows treatment of powder diffraction data. Studies on the geochemistry of natural zeolites have also greatly increased, partly as a result of the interests related to the disposal of radioactive wastes, and Chapters 3, 4, 5, 13, and 14 detail the latest results in this important area. Until the latter part of the 20th century, zeolites were often looked upon as a geological curiosity, but they are now known to be widespread throughout the world in sedimentary and igneous deposits and in soils (Chapters 6-12). Likewise, borrowing from new knowledge gained from studies of synthetic zeolites and properties of natural zeolites, the application of natural zeolites has greatly expanded since the first zeolite volume. Chapter 15 details the use of natural zeolites for removal of ammonium ions, heavy metals, radioactive cations, and organic molecules from natural waters, wastewaters, and soils. Similarly, Chapter 16 describes the use of natural zeolites as building blocks and cements in the building industry, Chapter 17 outlines their use in solar energy storage, heating, and cooling applications, and Chapter 18 describes their use in a variety of agricultural applications, including as soil conditioners, slow-release fertilizers, soil-less substrates, carriers for insecticides and pesticides, and remediation agents in contaminated soils. Most of the material in this volume is entirely new, and Natural Zeolites: Occurrence, Properties, Applications presents a fresh and expanded look at many of the subjects contained in Volume 4. It is our hope that this new, expanded volume will rekindle interest in this fascinating and technologically important group of minerals, in part through the 'Suggestions for Further Research' section in each chapter.